I’ve never understood lepidopterists. They admire the beauty of moths and butterflies, chasing them across meadows with a large net. But once caught, the creature is dropped in a killing jar and pinned to a display board. As KPIs go, a butterfly collection is pretty brutal. The very thing these butterfly chasers value is actually mutilated by the act of chasing and collecting them. Some marketers behave in a similarly short-sighted manner. These are the algorithm chasers, so focused on netting a better ranking or more “likes” that the very reason for these things — the content strategy — is devalued. SEO has many algorithm chasers. The term “black hat” was coined to define those activities that sought to get around those pesky issues of quality and relevance with tricks and loopholes for short-term gain. 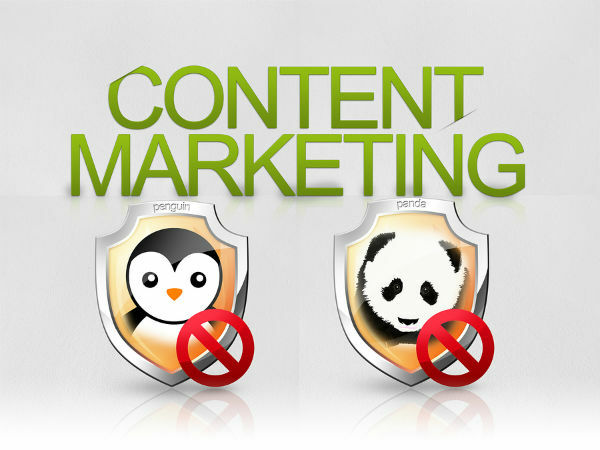 These days SEO is not so easily abused; Panda and Penguin made sure of that. But some marketers and agencies have started chasing another algorithm — Facebook’s EdgeRank. EdgeRank determines what you see in your news feed. If you’ve ever wondered why you never saw that update from a friend announcing her pregnancy, but cat memes from that guy you barely remember from high school pop up all the time, blame EdgeRank. Affinity is how often you interact with updates from the other user. Weight is the type of content or action. Video has more weight than text; a comment has more weight than a “like,” and so on. Time decay assesses how fresh the update or interaction is. Social media content algorithm chasers seek to drive more interactions (affinity) with a greater weight so the content reaches as many news feeds as possible before time decay deteriorates. They argue that improving a page’s EdgeRank benefits the content strategy when an important piece of content needs to reach more people. But when that strategic content arrives (if at all), why should an audience take it seriously when they’ve been fed rubbish up until then? Authority and trust are hugely important in content marketing — and are all too easily eroded by shabby grabs for attention. Condescending Corporate Brand Page is a fantastic collection of crappy attempts by brands to generate interaction. Brainteasers that appeal to vanity by asking followers to add their answer in the comments. The predictable backlash doesn’t harm the algorithm either. Trolls are the algorithm chaser’s friend, which is why some chasers use these tactics deliberately, knowing that a backlash will still achieve their ultimate goal. I’ve read comics for approximately four decades (don’t judge me), so I happily follow the Facebook pages of UK comic 2000AD among others. This page posts regular content that not only motivates “likes,” comments, and shares, but is also relevant: new artwork, genuine competitions, exclusive content, reviews, fan pictures, news on upcoming releases, and more. You know, stuff a fan of the comic actually cares about. See, using EdgeRank to drive people to your content isn’t hard if you think for five minutes about what matters to them. Why would they follow your page? To get great content on what interests them, or to debate who would win in a fight between Madonna and King Kong? Not all algorithm chasers are mere misguided KPI hunters. Some use deliberate deception to catch more interaction in their nets. I saw it. Many did. And 3.5 million clicked “like.” Katie’s image was stolen for a fictional tug at the sympathies of millions of Facebook users. Why? Algorithm chasing for profit. Who notices the original page? No one goes there — we rarely leave our news feed. But that page with strong EdgeRank is now a valuable asset to be sold to anyone looking for a short cut to social media content glory. Social media marketing is disappearing down the credibility toilet faster than you can share this photo of a disadvantaged child that will somehow get clean water if it reaches 100,000 likes. I say this a lot, but how do “likes,” comments, and shares matter if they don’t contribute to a concrete business goal? You’ve caught your butterfly, now what? If marketers convince their CEOs or client that “likes” and interactions are the metrics on which to judge success, they’ve merely sold in the easiest KPIs to fudge to get their fee. Algorithm chasers don’t care what happens after those vague KPIs are in the net. Personally, I would much rather admire beautiful content free to flutter in its natural habitat than stick it in the killing jar of the algorithm chaser. Not only does manipulating the algorithms of social media and social bookmarking sites seriously compromise your public credibility, it puts you at risk of getting hell-banned. And when it happens you often can’t tell anything has changed, so you may think you are distributing content and nothing is being seen. In other words, the algorithms are getting smarter. And so is your community. —Renée Warren, Co-Founder, Onboardly Media, Inc.
For brand marketers, it can be extremely difficult to have your message heard on Facebook — especially for non-advertisers. As many as nine out of 10 posts from brand Pages are filtered out of users’ news feeds. In August Facebook surveyed its users about the quality of posts from Pages and asked: “Is the content genuinely interesting to you or is it trying to game News Feed distribution?” Obviously Facebook is aware of the recent trend in posts asking for “likes,” shares, and comments, which has long been held up as best practice. The question clearly indicates the network takes a dim view of the tactic. Author’s Update: In the time since this post first ran, Facebook announced it is putting algorithm chasers on notice with its latest changes to EdgeRank. You’re going to need more than memes now!